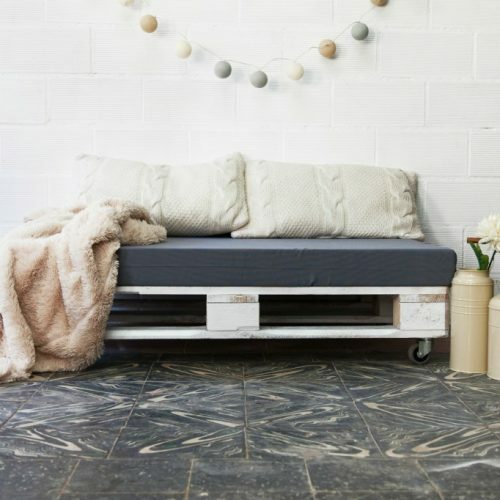 A headboard for a double bed, created using wooden boards taken from recycled pallets. 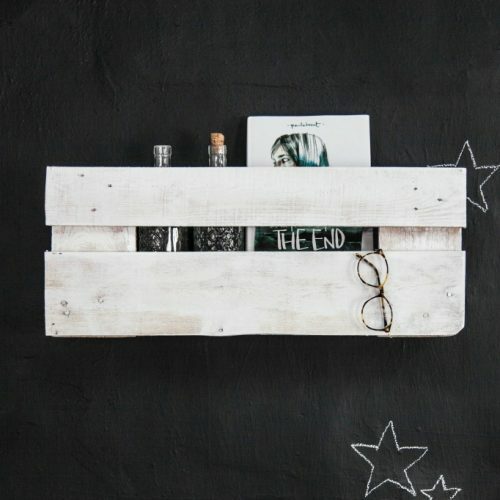 You can choose between a varnish or pickled white finish. 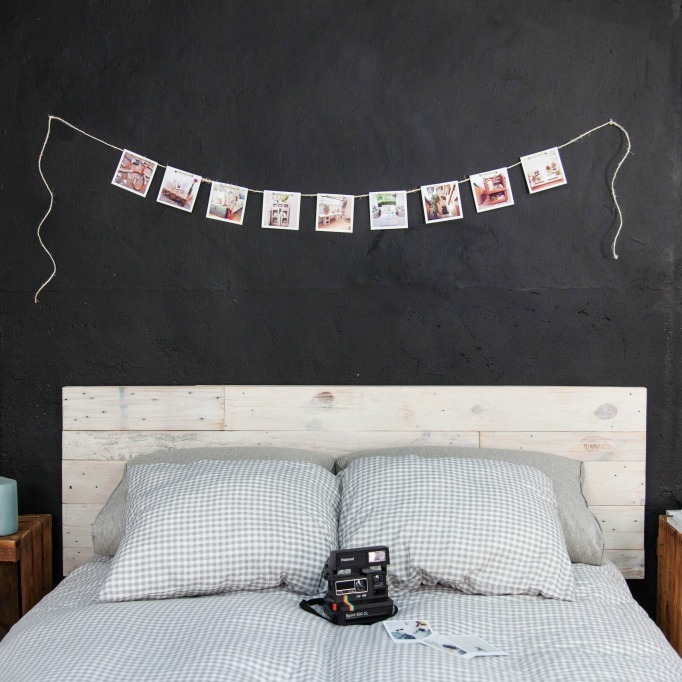 The headboard comes ready to hang as if it were a painting. 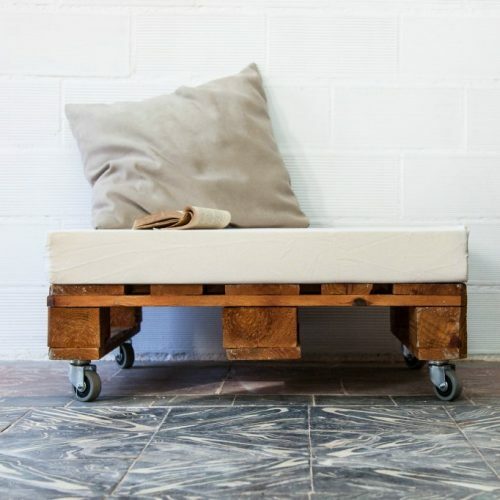 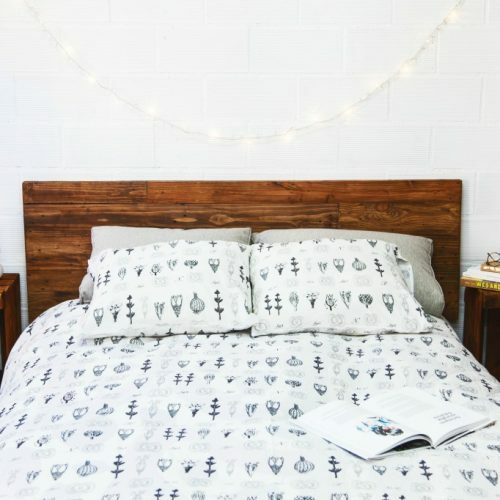 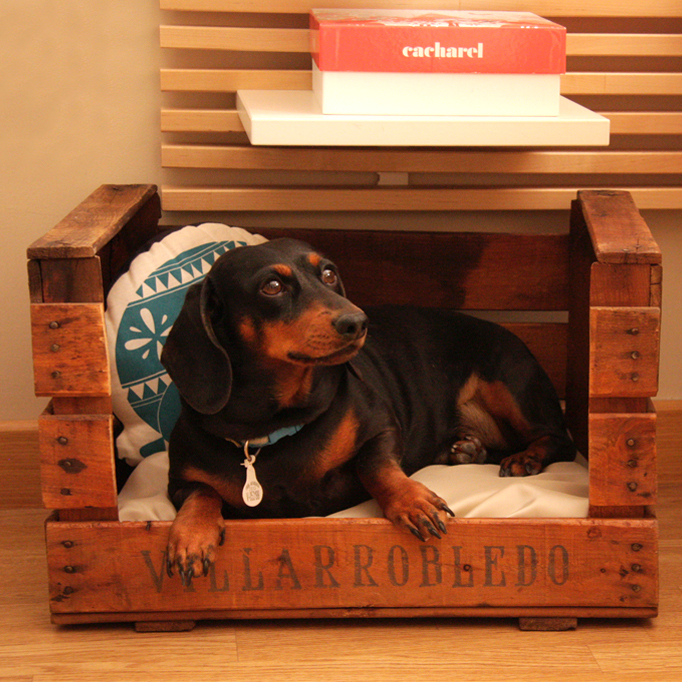 A headboard for a single bed, created using wooden boards taken from recycled pallets. 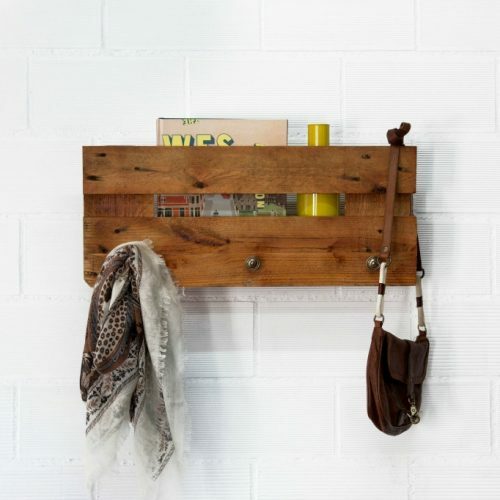 You can choose between a varnish or pickled white finish. 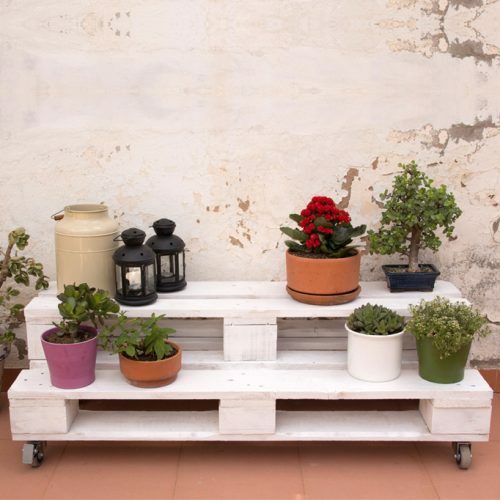 Planter ttwo heights ideal for displaying your plants like a jewel treated heights. 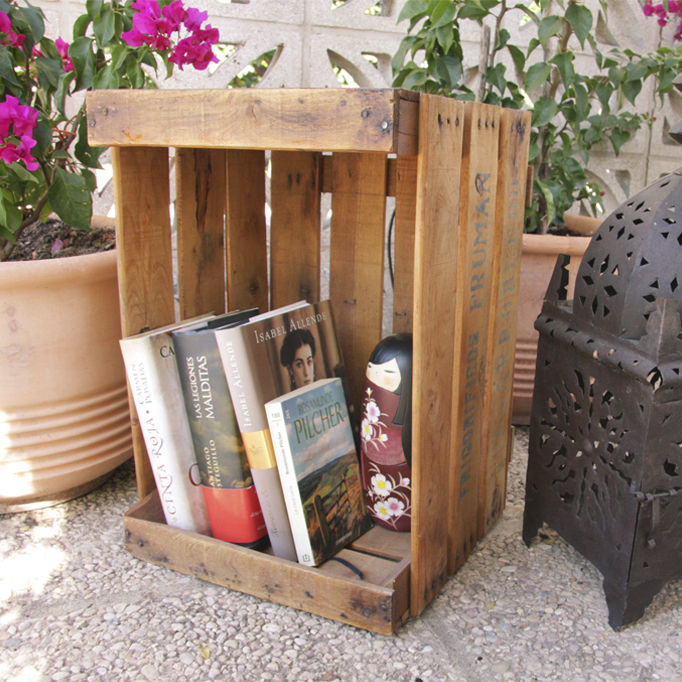 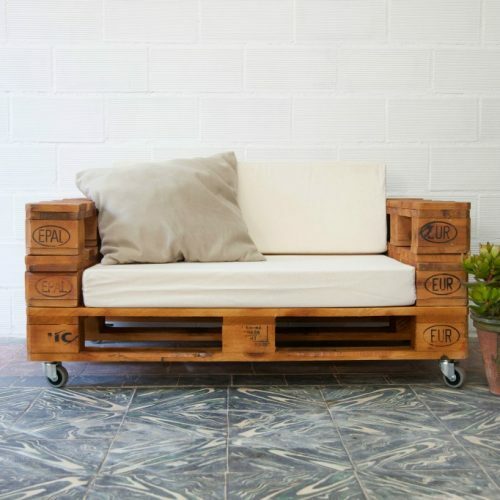 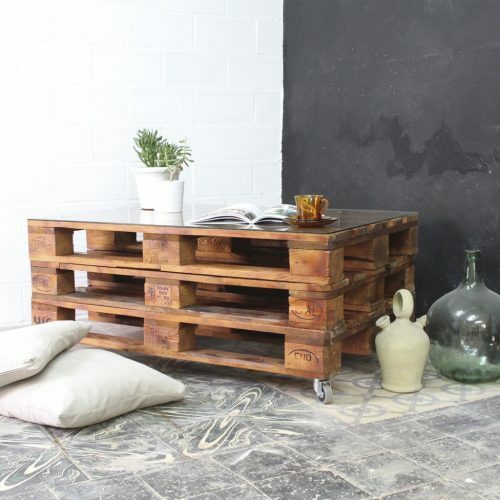 Made with recycled pallets placed two European staggered to gain the maximum possible support surface. 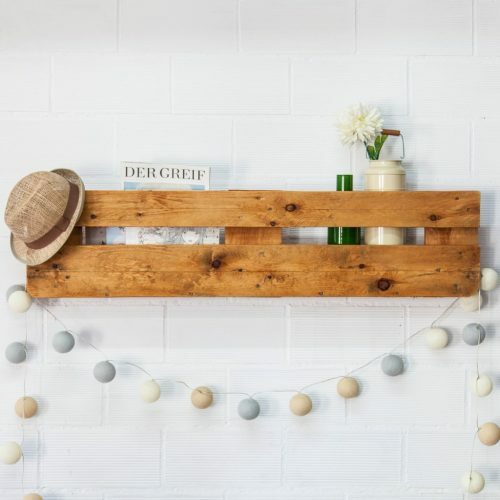 A moon-shaped light, made using wooden boards taken from recycled pallets. 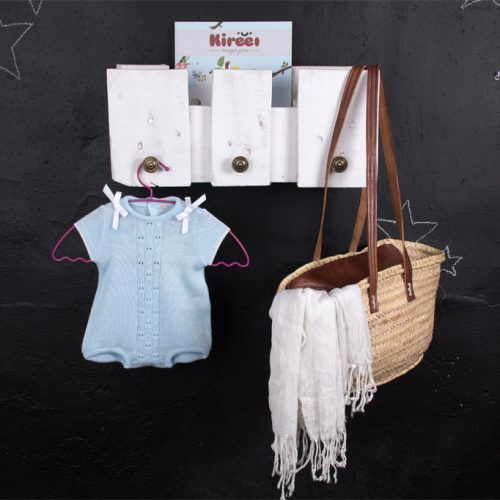 The perfect eco-friendly touch for a child’s room. 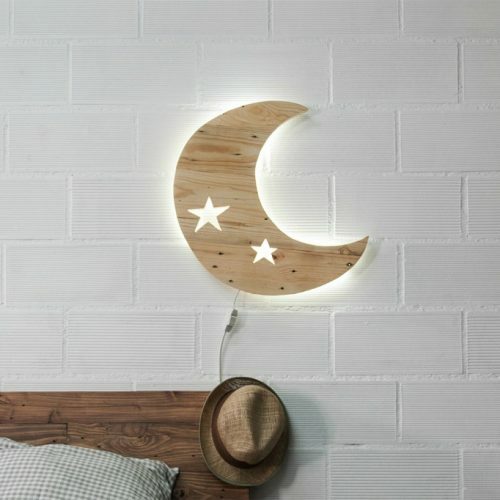 The perfect ambient lighting that will provide a warm, welcoming feeling in any room. 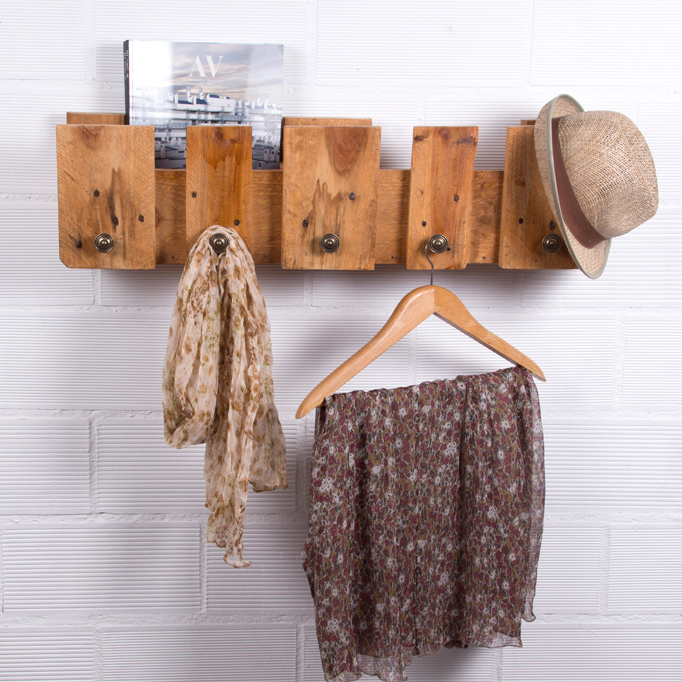 Light that provides clear, soft tones to rooms, and thereby allows you to add that homely touch that all rooms need. 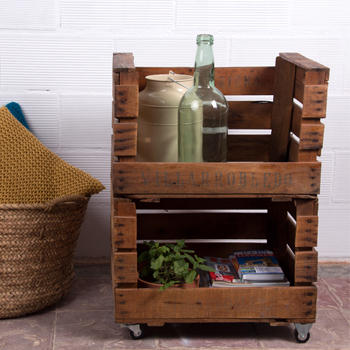 Decoration, recycling, ecology and the environment, all in one light. 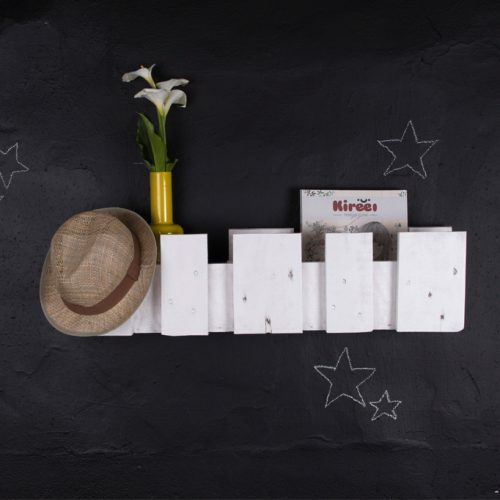 Planter three ideal for displaying your plants like a jewel treated heights. 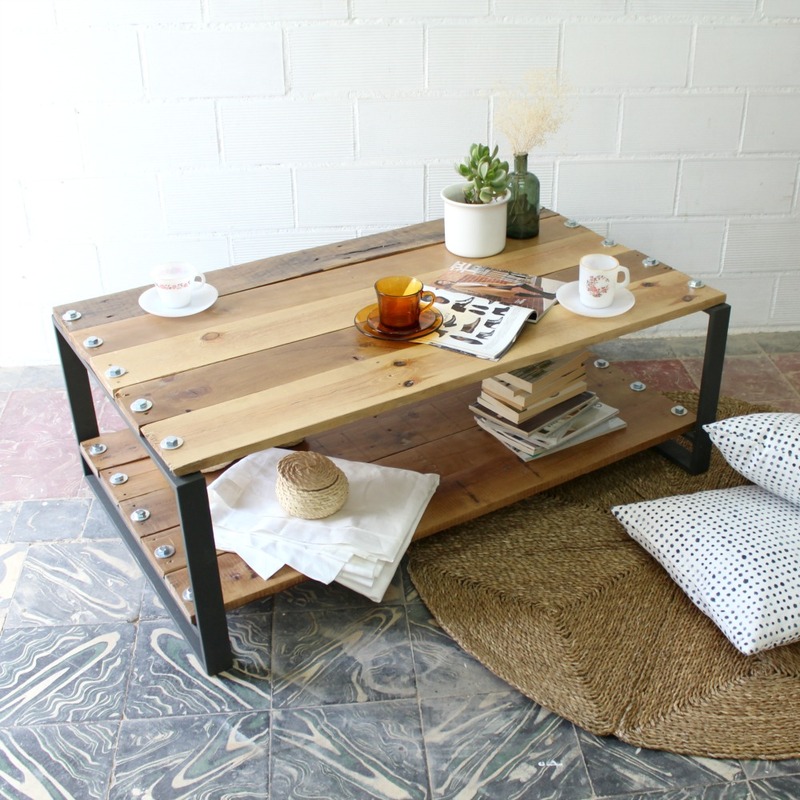 The aim of ecoDeco Mobiliario is to create a strong, original table that will define the decoration of your home or business within a culture of sustainable design. 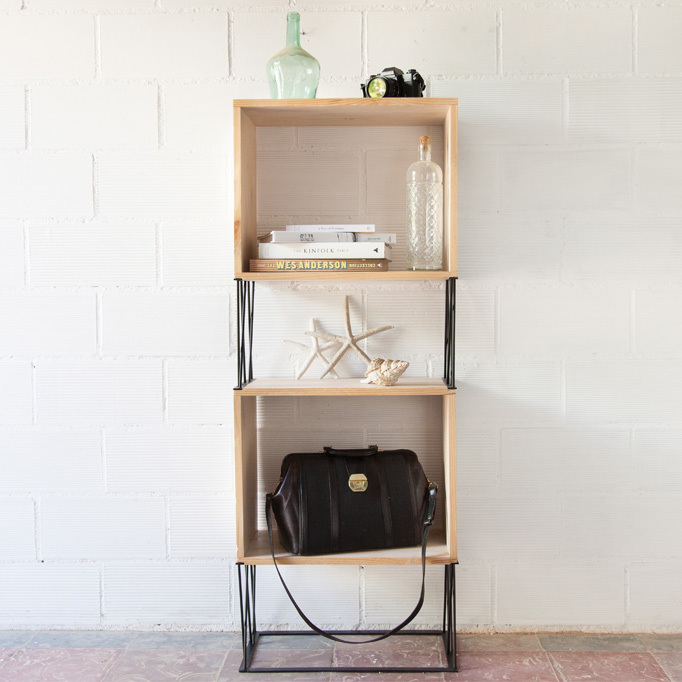 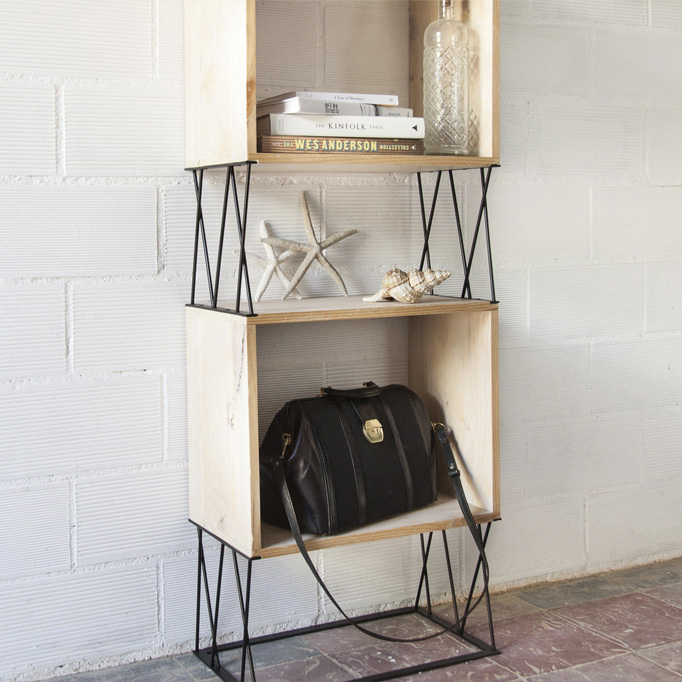 You can combine it with furniture with the same character or use it as a dividing element between other collections. 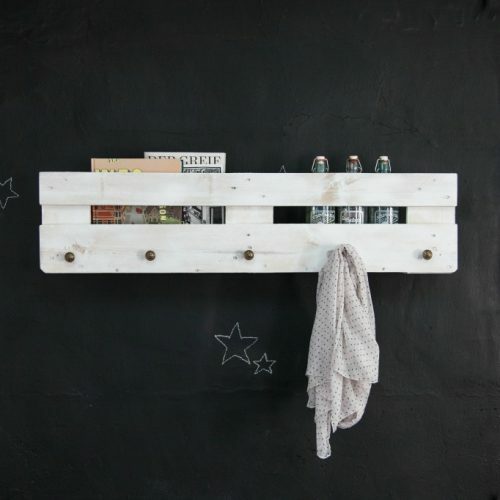 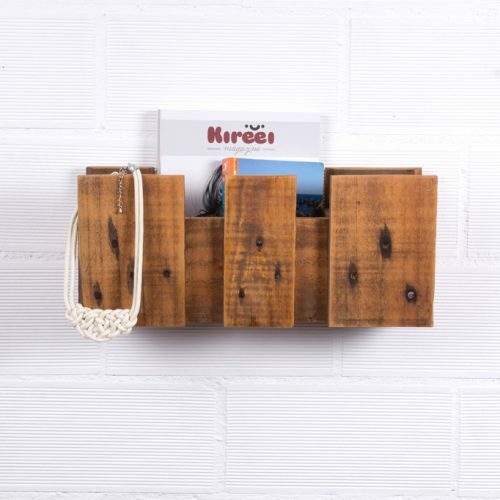 A cloud light, made using wooden boards taken from recycled pallets. 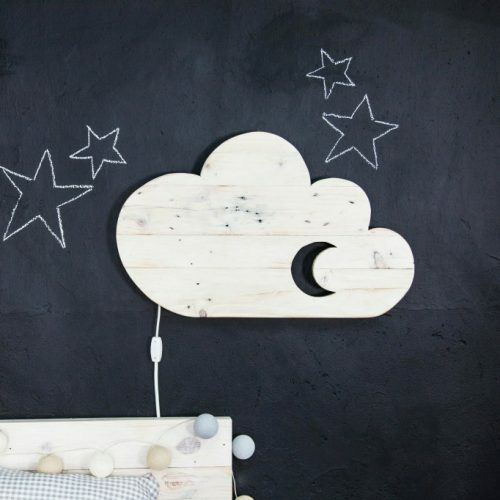 The perfect eco-friendly touch for a child’s room. 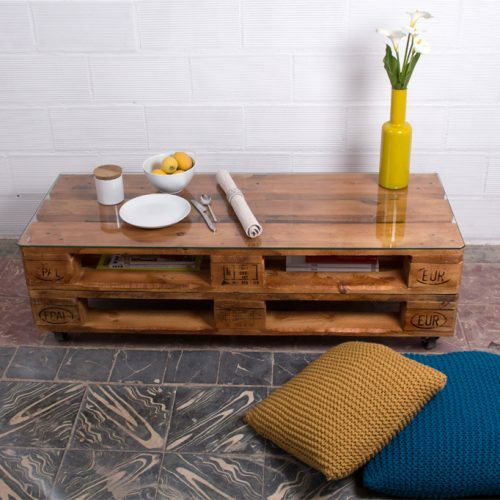 A table made using recycled European pallets. 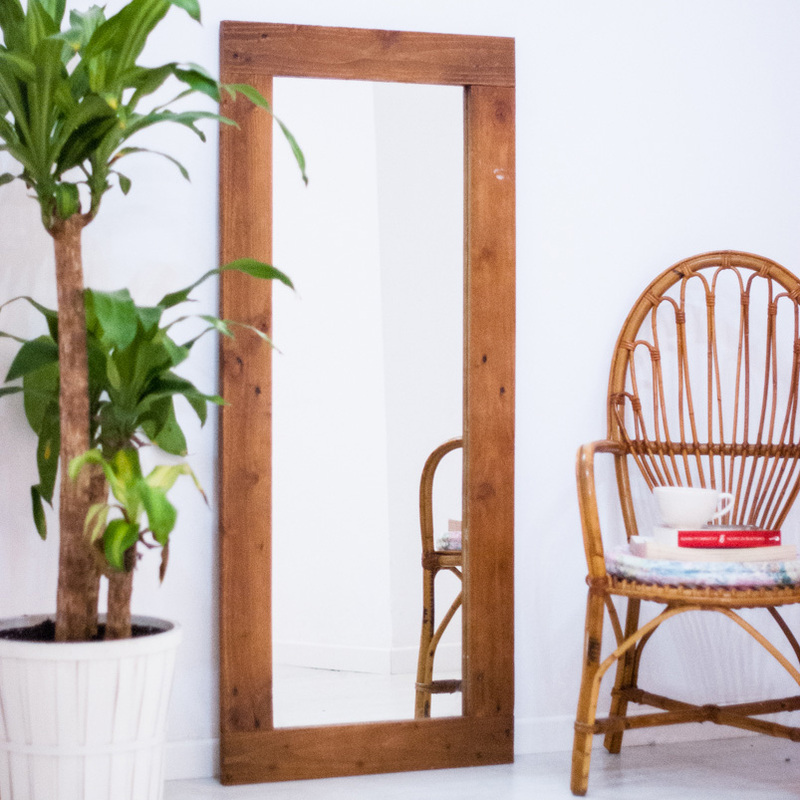 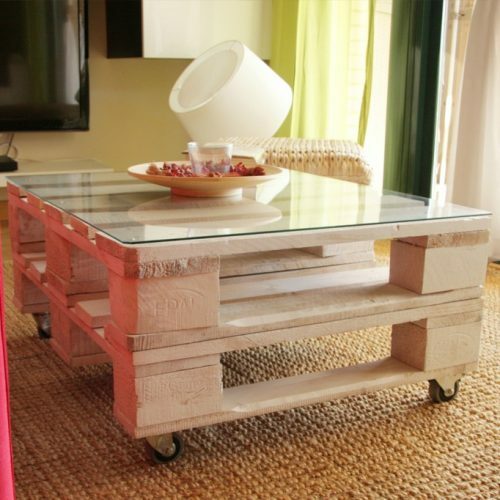 We treat the wood of the pallets to make it sturdy and give it a new appearance. 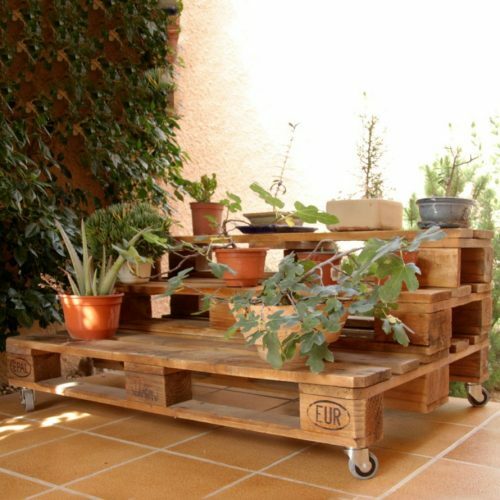 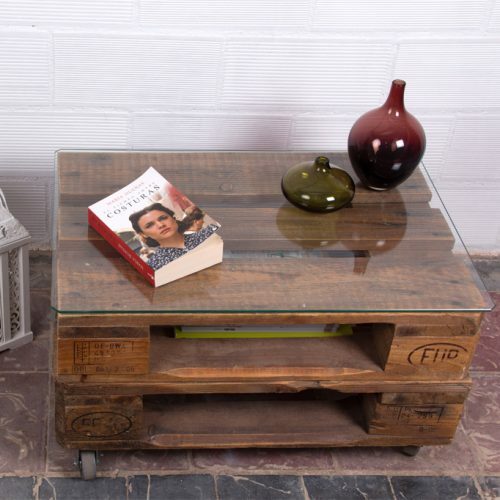 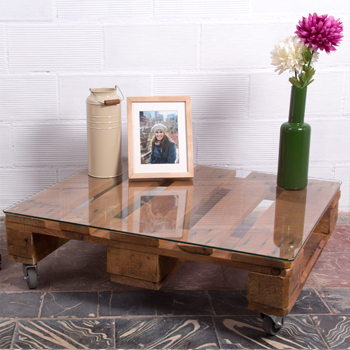 European pallets small table, ideal as a coffee table or auxiliary, perfect for any stay. 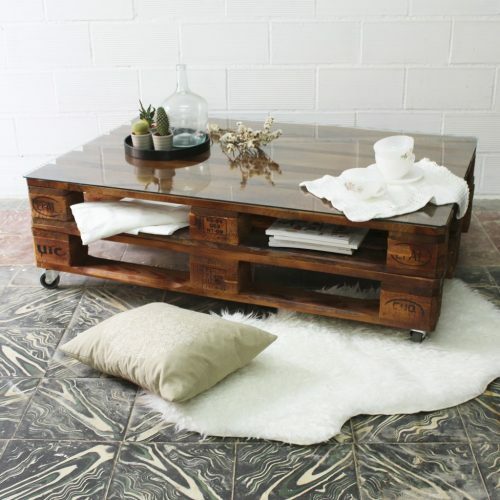 A table with force, original and will make the decor of your home or business within the culture of sustainable design.